Hi, I’m sorry but we do not have a contractor in your area at the moment. We will call you if we can be of help in the next few weeks. Hello, thank you for your interest, your quotation is attached. Please note; The gate factory is closed for re-fitting from the 7th of June through to the 6th of August. You can access your plans and free books immediately by going to: https://www.alldayfencing.com.au/ebaybooks.php. If you have any trouble accessing your purchase please reply to this email with your details and we will send them (as PDF documents) by return email. If the plans or books received vary from what you are expecting, or do not suit your intended purpose, please contact us before leaving negative feedback. Your quote, with wholesale discount, is attached. Our turnaround is currently 10 to 14 working days. WIDTH = Opening Size LESS 16mm for single gates or 24mm for double gates. HEIGHT = Height of Gate Post LESS 40mm clearance under gate. How to order: To place your order simply pay the deposit on the attached Quotation/Invoice. Manufacture: Gate/s are manufactured at our factory at 8 Faversham Street, Marrickville in Sydney. Finishing: 2 coats weatherproof paint or oil/varnish to manufacturers recommendations. Collection: Orders can be collected from Marrickville, 8am to 4pm Monday to Friday. Delivery: Delivery is available to NSW, ACT, Victoria, SA, QLD, North QLD, city and regional areas. Payment Methods: We accept Credit Card, PayPal, Cheque or Bank Transfer. Bank Details & Online Payments: https://www.alldayfencing.com.au/payments. Hi, your Monthly Statement is attached! The monthly fees are required to pay for your secretarial and messaging services, and to maintain our high website placing! If you are experiencing difficulties in paying your account please contact us to work out a suitable payment arrangement. If you have already sent your payment please ignore this message. All Day Fencing, ACCOUNT OVERDUE Friendly reminder! You are receiving this email as your All Day Fencing account fees are overdue. If you have already transferred or posted payment please ignore this message. Your fees are required to enable us to provide you with a website, secretarial and message services and to continue providing you with work leads, industry news and legal advice. If you are having difficulty paying your fees please contact the office to arrange an extension prior to the date due. You are receiving this email as your All Day Fencing account fees are overdue and you have been scheduled for disconnection from our system. If you have already transferred or posted payment please ignore this message. Your fees are required to enable us to provide you with a No.1 ranked website, secretarial and message services and to continue providing you with work leads, industry news and legal advice. Please note: Reconnection to our system (if available) will incur a $55 fee. Disconnected areas will be made available to other branch agents and new applicants. URGENT – DISCONNECTION from the All Day Fencing system. You are receiving this email as your All Day Fencing fees have not been paid and you have now been disconnected from our system. You must cease to trade as an independant agent for All Day Fencing today. According to our signed agreement all work leads and job enquiries received from the All Day Fencing system remain the property of All Day Fencing. Upon termination of an agency, all work leads received through the All Day fencing system must be forwarded to this email. Please forward details of all jobs in progress or any current leads received from the All Day Fencing system so we can direct them to a new agent. Failure to disclose client or job information may result in legal action at the discretion of All Day Fencing. Your statement is attached. Your statement is due now and must be paid to avoid further legal action and recovery expenses. If you have already transferred or posted payment please ignore this message. Please note: Reconnection to our system (if available) will incur a $55 fee. Disconnected areas will be made immediately available to other branch agents and new applicants. Hi, thank you for your enquiry. 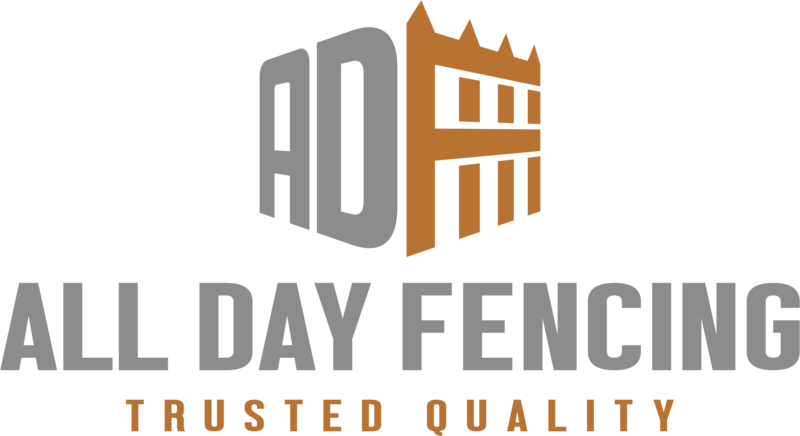 The information you require can be found at our website; www.alldayfencing.com.au. At our website you can view photographs, designs ideas and a catalogue of past projects. You will also find information regarding the materials we use and our methods of construction. Please view our (frequently asked questions) section for a quick answer! Hi, the system is very simple. We are like a co-op, you still trade under your current name. We share a secretary and website and split the costs. Our website is no.1 in Townville and generates a lot of inquiries. We require someone to join us for the ??? areas. ???? is $190 per month, all inclusive. There are no other fees and there is no contract. We set up your local webpage and links for free. The secretary answers all calls from the website and 1300 6 FENCE number and sends a message to your email, just check your inbox each day after 5pm! We only require one fencer per area so please respond asap to avoid missing out. A free trial is available. Hi, All Day Fencing is a chain of independantly owned and operated branches. We have teamed together to provide a better service at a cheaper rate. We have setup one central office. The secretaries answer our phones during the day and book appointments into an online calendar that you can access from your home computer. They also send all messages by email daily. We also share and contribute to the one website which keeps us ranked near the number one spot in search engines. We are listed in the yellow pages and many affiliate websites such as ‘homeone’. We are members of the Master Builders, have backing from the NAB business bank and are able to provide free legal advice, contract advice, accountancy advice, product suppliers, licencing advice, promotional products and much more. We are running our business just like you are, but we work under All Day Fencing and split the expenses. This generates much more work for far less cost. We can also talk with other members and find out the best new products and techniques. I was spending up to $1200 per month to do this by myself but by joining with All Day Fencing my monthly expenses are only $335. I also receive enough work to run 2 teams full time. I was sceptical at first but after using the system for a couple of months I could never go back to the hard way. If you are interested I would set you up for a free trial run for a month so you can see how the system works. All I ask is that you attend to all enquires and answer all messages as we do not like to let a client down.